Hello there, thanks for stopping by the blog. 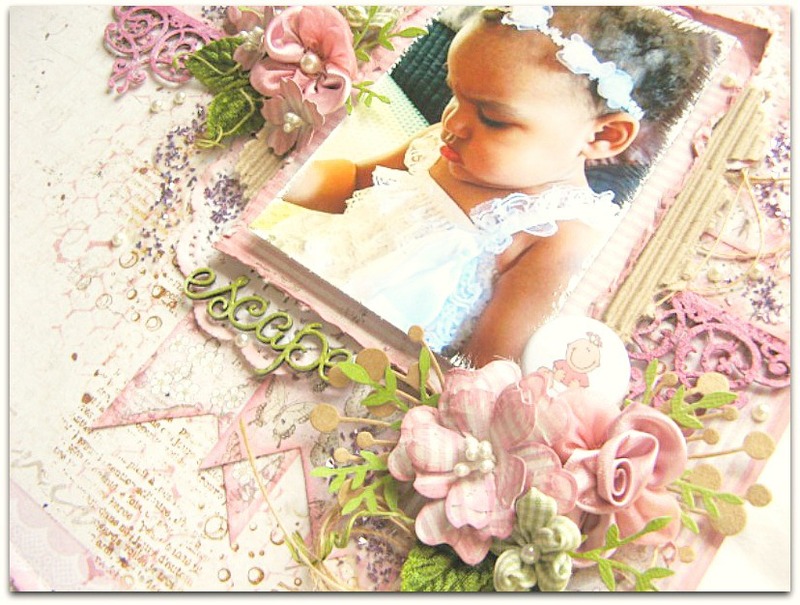 Today I have a layout I created featuring my beautiful Grandaughter, Mia. 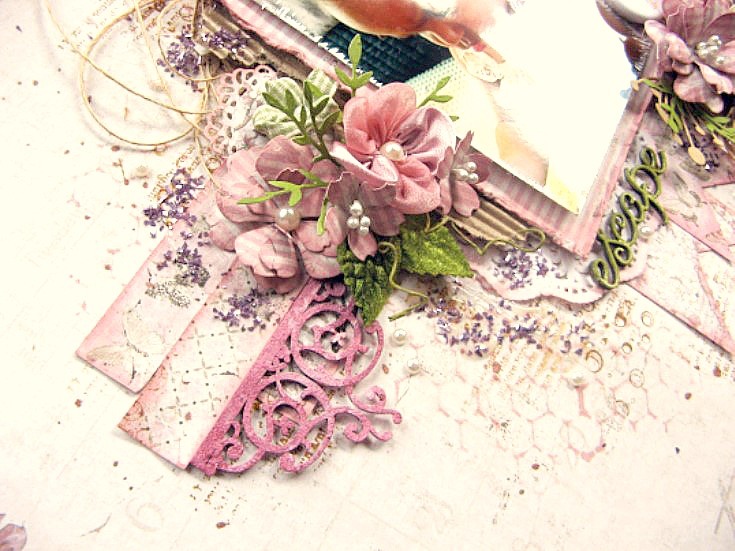 I have used the “Vintage Spring Basics” paper collection. So soft & pretty & just perfect for this photo. For my background I used the “1st of May” paper. I actually fussy cut around the edge of the paper, taking off about a half inch all way round. I took care to cut around the little flowers in the top left corner & bottom right corner. I then distressed the edges & added a little ink before sticking it down onto the stripe paper, being “4th of May”. I then cut some strips of contrast papers from the “2nd of May” & the “3rd of May” papers to create some nice layers underneath my photo. This paper collection is just soooo beautiful, the photos really don’t do it justice. I have also used the “4th of May” paper to matt my photo too. All the chipboard I have used is from 2Crafty Chipboard. I have finished off with lots of mauve crushed glass glitter & some tiny pearls scattered around the background. 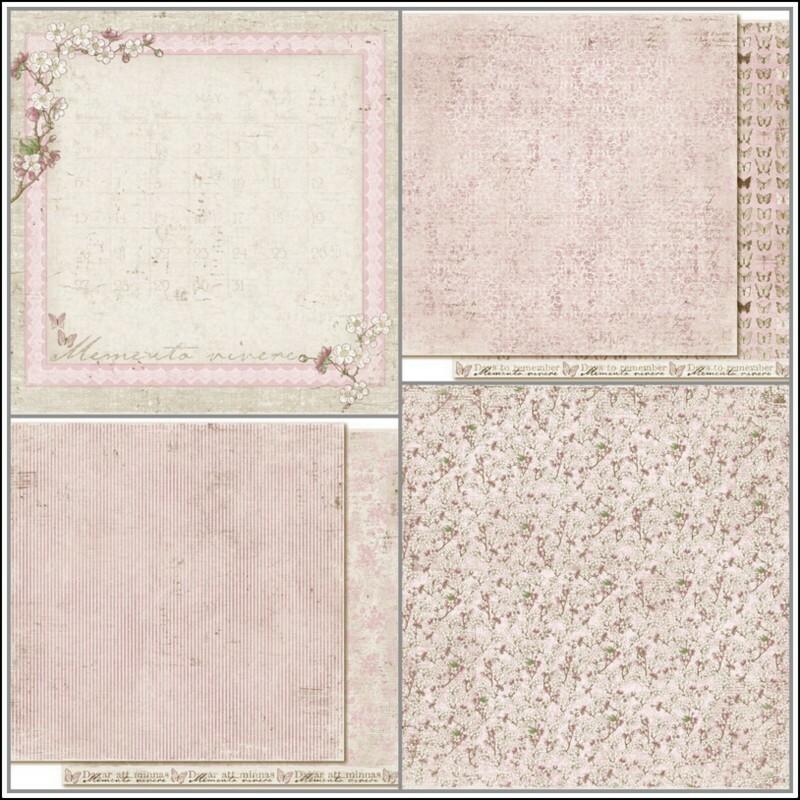 “Vintage Spring Basics” used….. “1st of May”, “2nd of May”, “3rd of May” & “4th of May”. Well thats all from me today. I’ll see you back here again in a couple of weeks time. Thank you Di. I found this post particularly helpful as Di has very helpfully pictured the 4 papers she used at the end. I would like all posters to do that as it makes it so much easier to see the papers. Thank you so much Kathy for your lovely comments, I am so glad you like it. Di, as always, most beautiful and elegant and your little granddaughter is just the perfect focal for your pages – she is adorable! 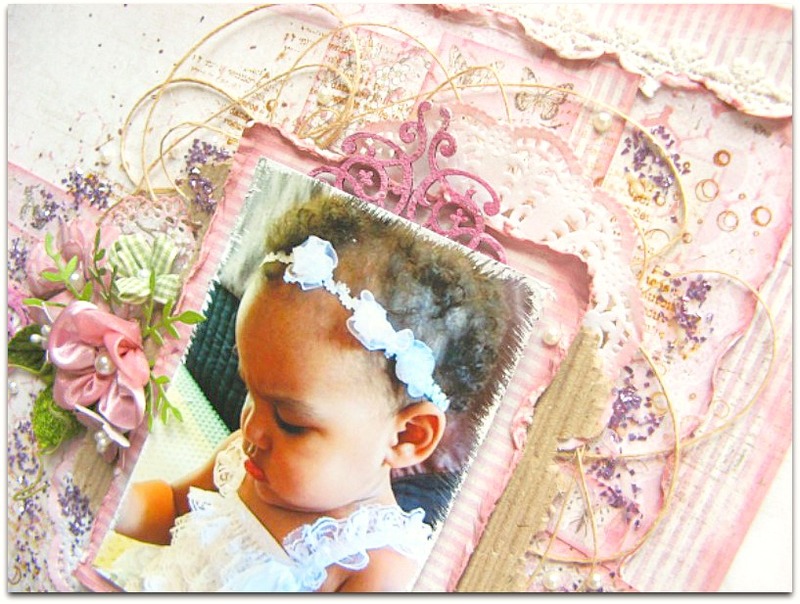 I just love this adorable layout made with Vintage Spring Basics paper. I am going to try it with Vintage Summer Basics as I just bought 60 sheets of that line. Hope it works out.